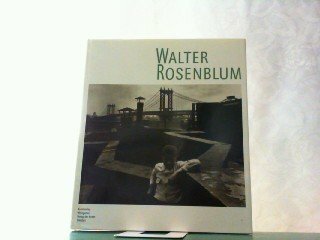 As a member of the Photo League Walter Rosenblum studied under many of the great photographers of the 1930s, such as Paul Strand, Sid Grossman, and others. He dedicated himself almost exclusively to documentary photography and its means. This book includes photographs out of his most important series: Pitt Street (1930), WWII, refugees of the Spanish Civil War, the Gaspé Peninsula (1949), 105th Street(1952), Haiti (1858/59), Europe (1973).